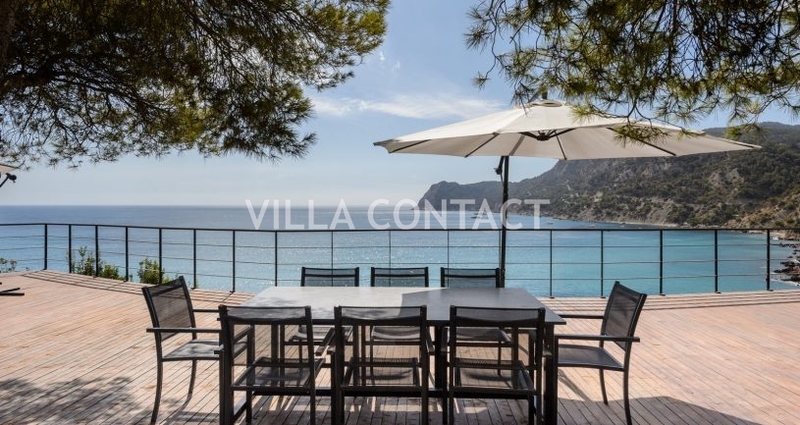 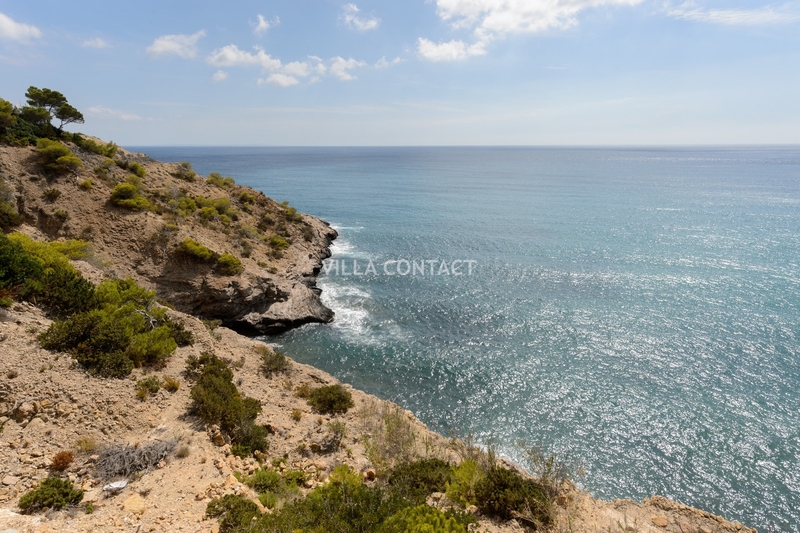 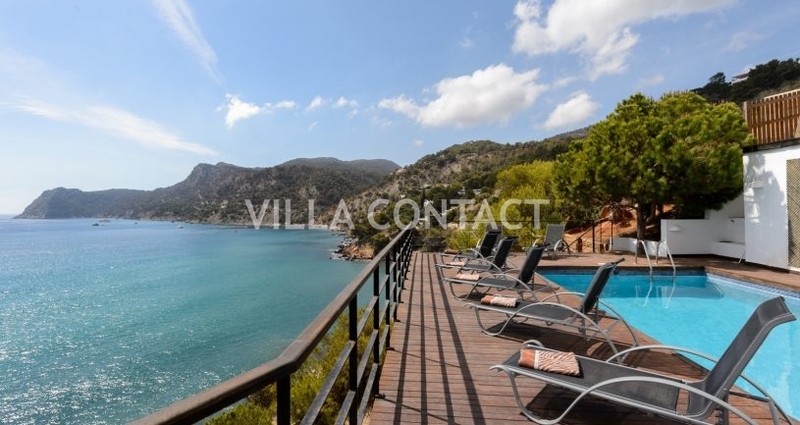 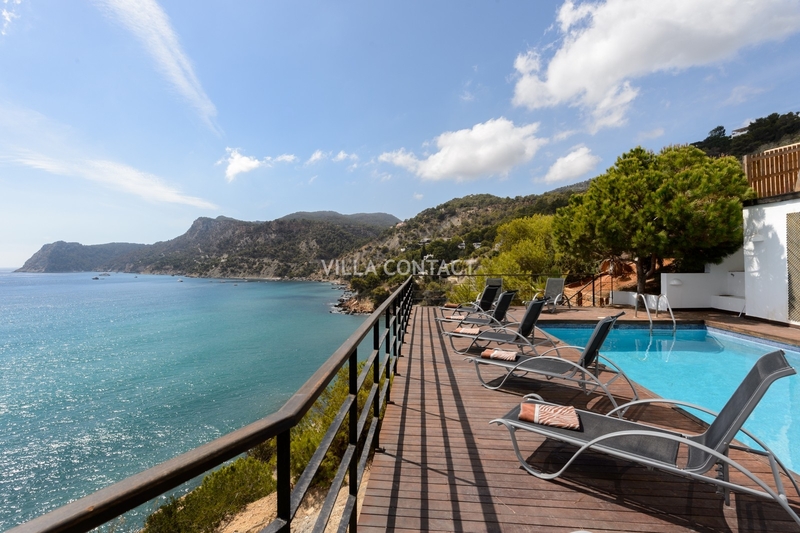 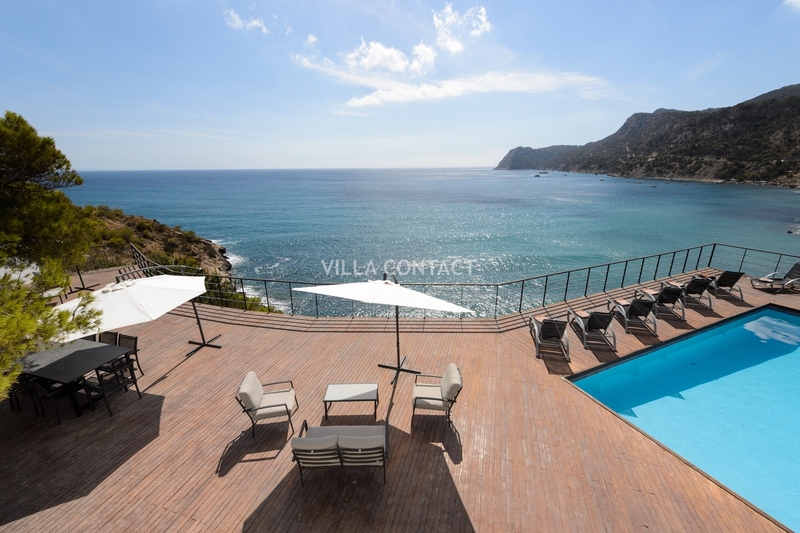 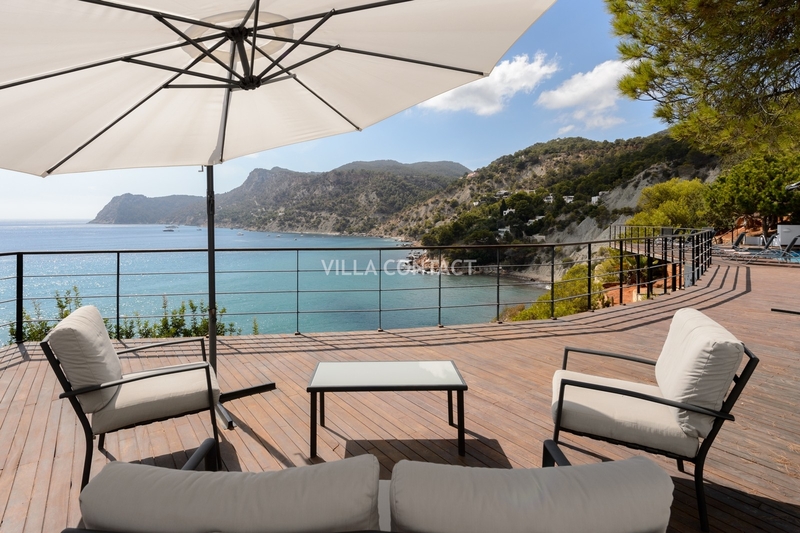 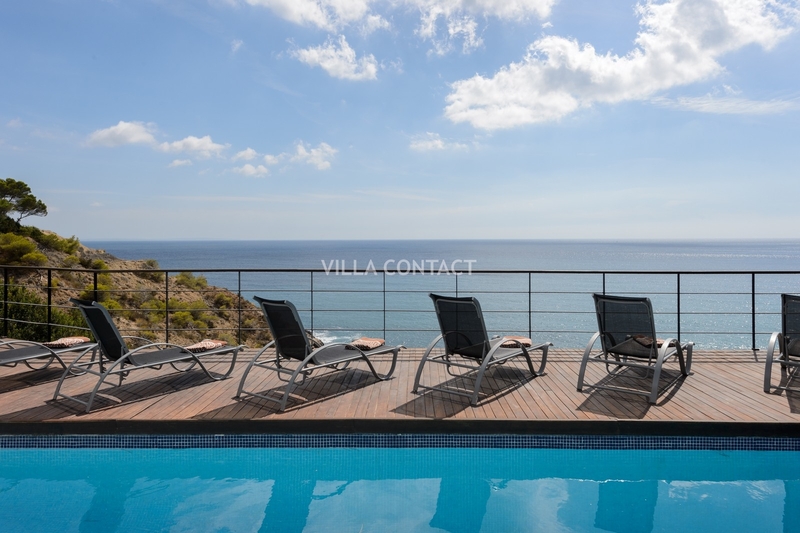 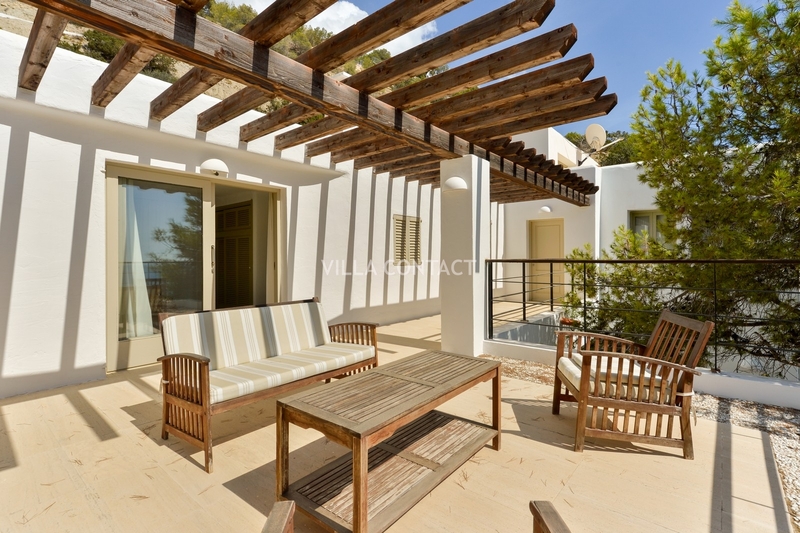 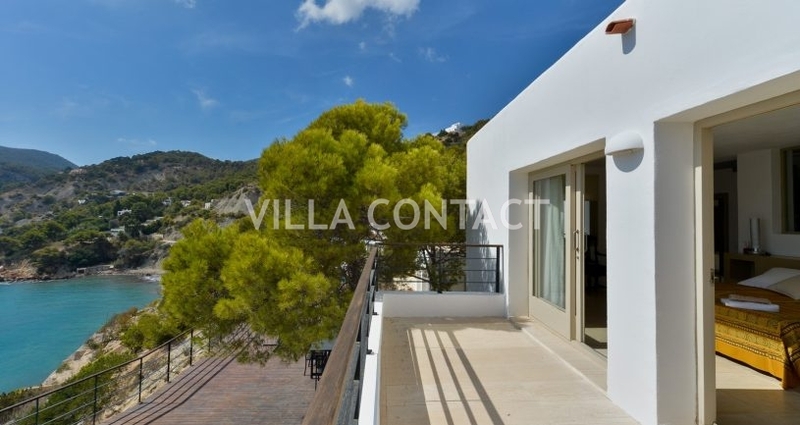 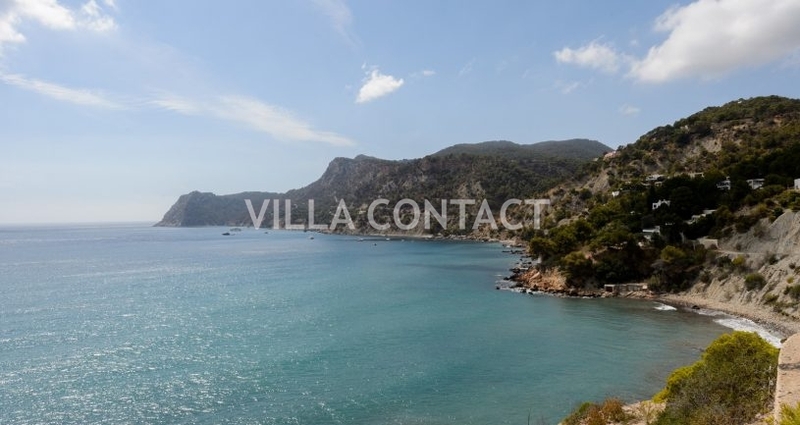 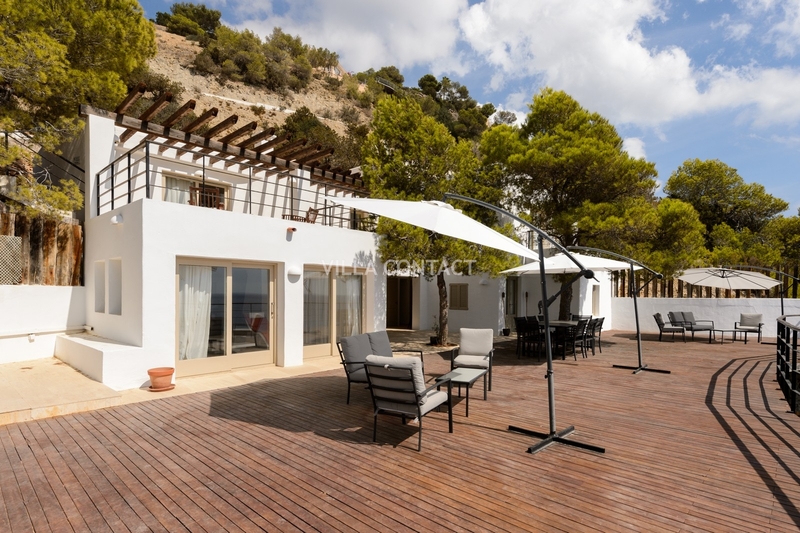 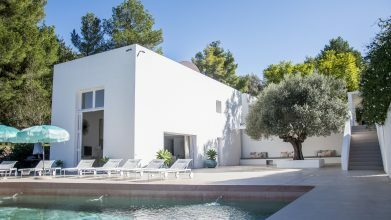 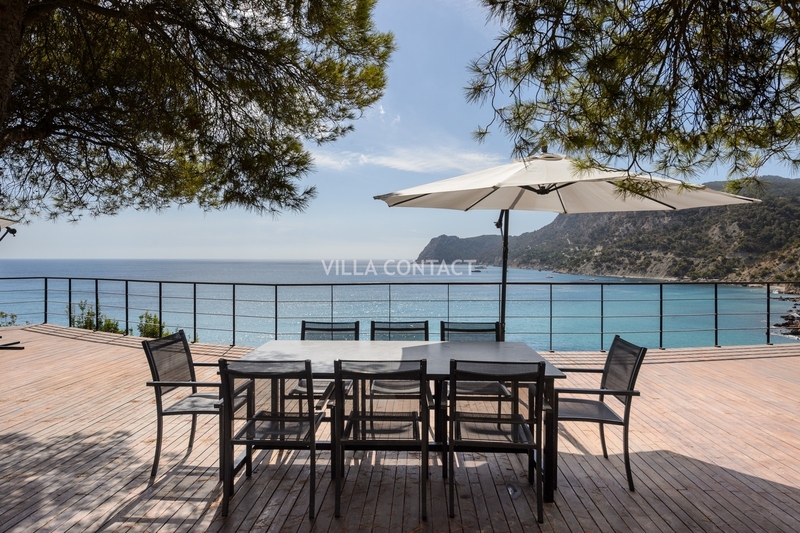 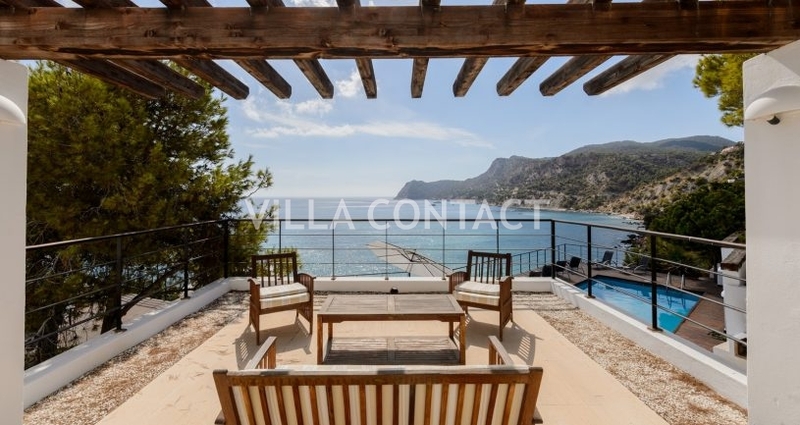 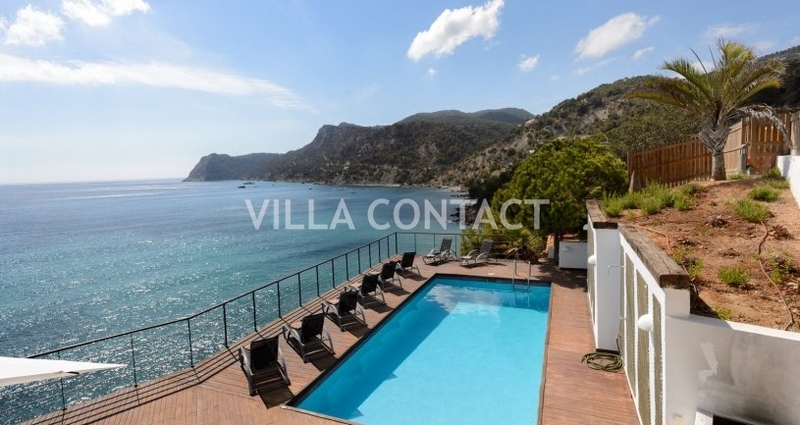 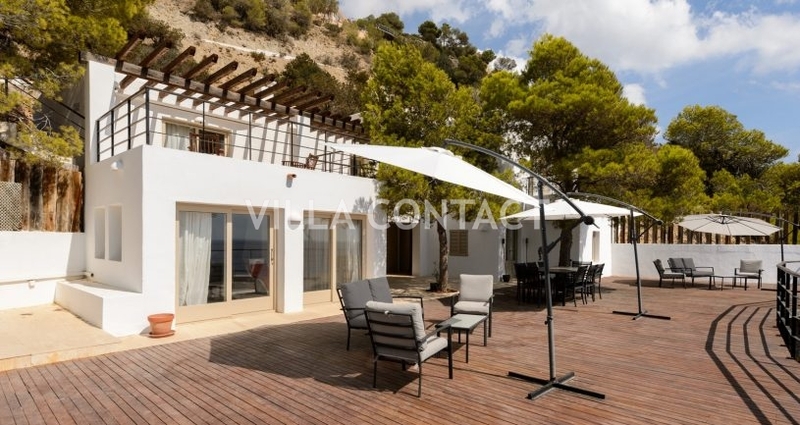 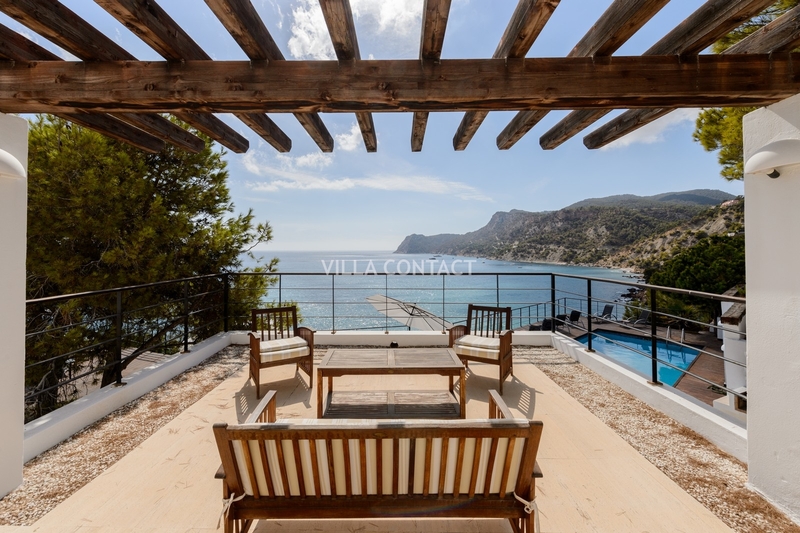 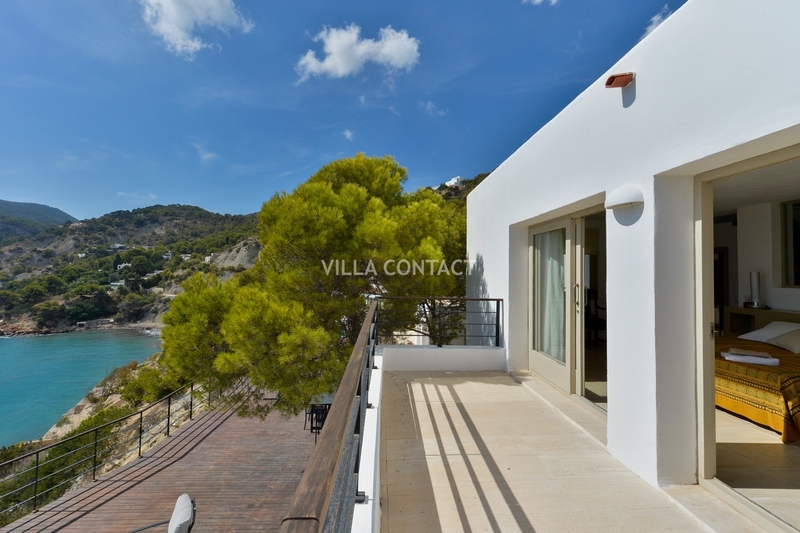 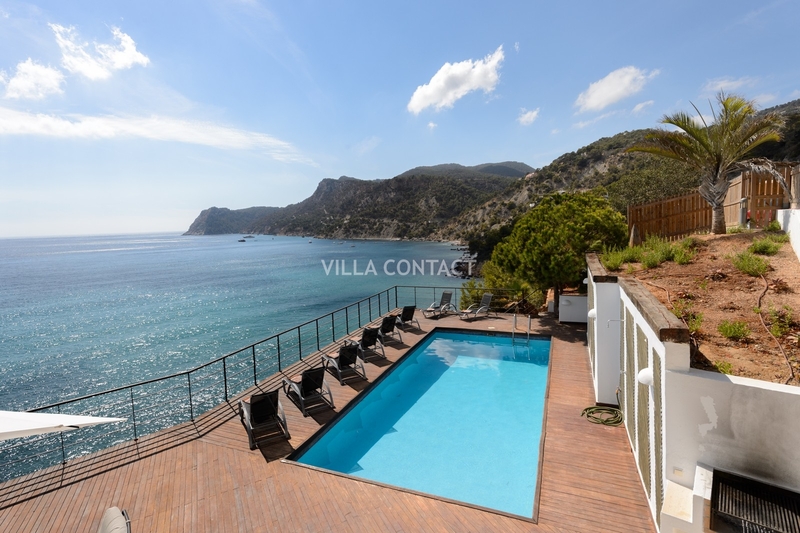 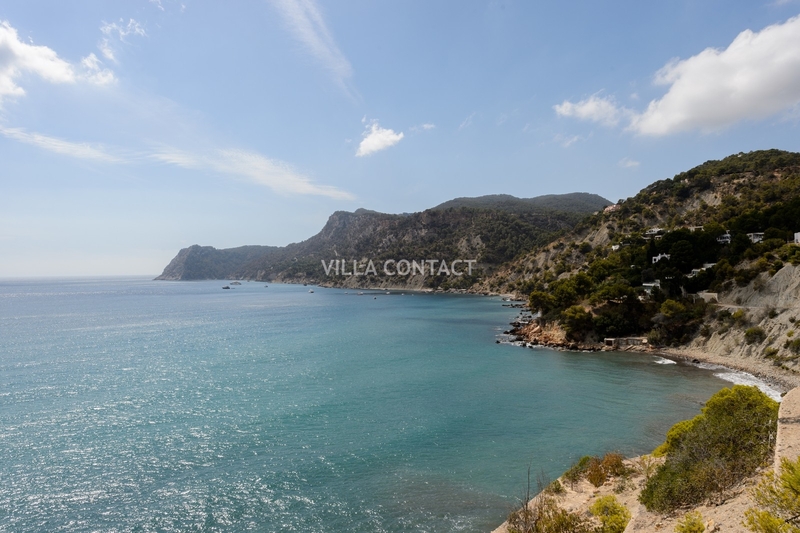 This unique and newly renovated villa is situated front-line on the water in the protected bay of Es Cubells and enjoys stunning panoramic sea views. 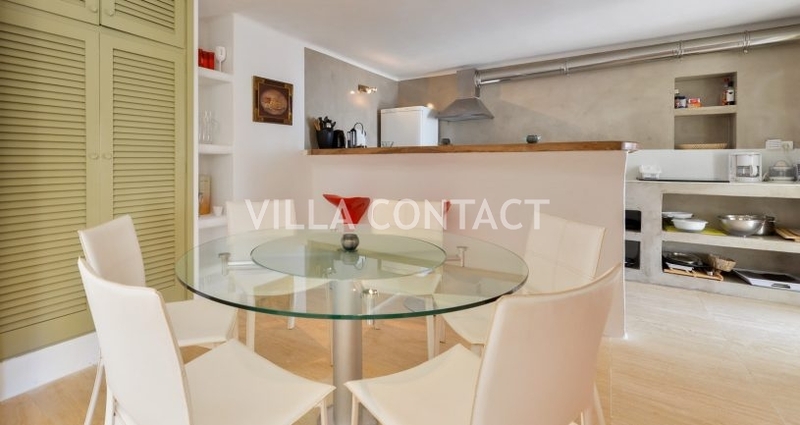 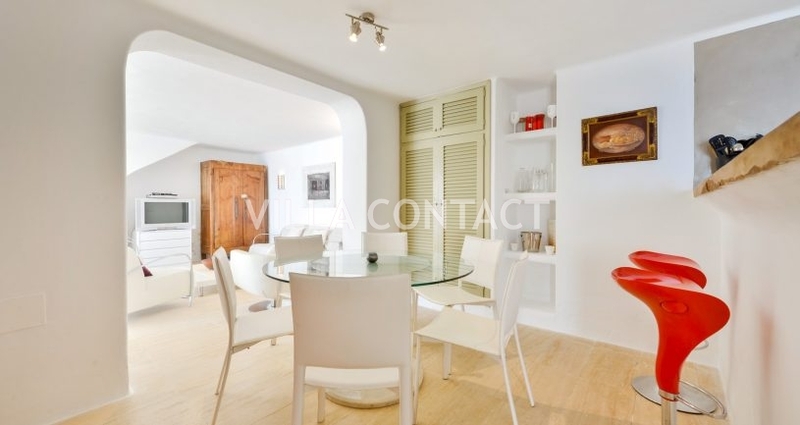 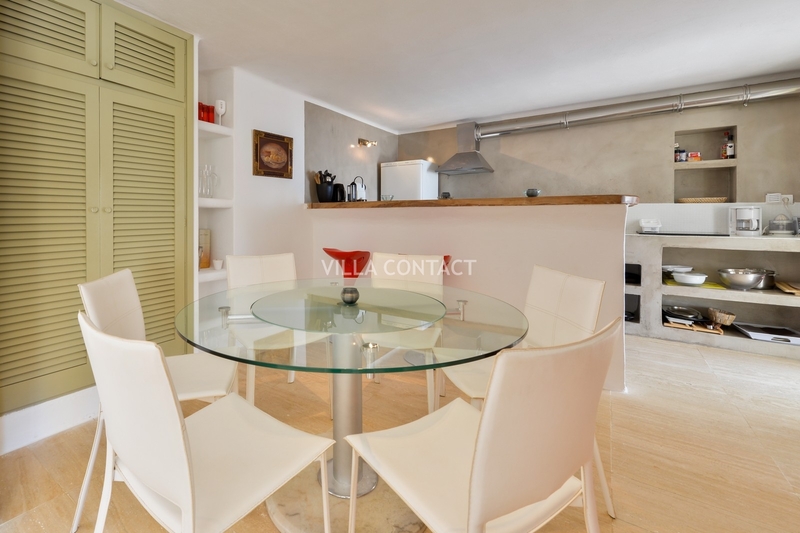 The property has a light and bright interior. 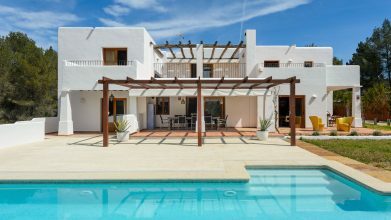 The house is set on two floors with a living room, open plan kitchen and a double en-suite bedroom located on the ground floor. 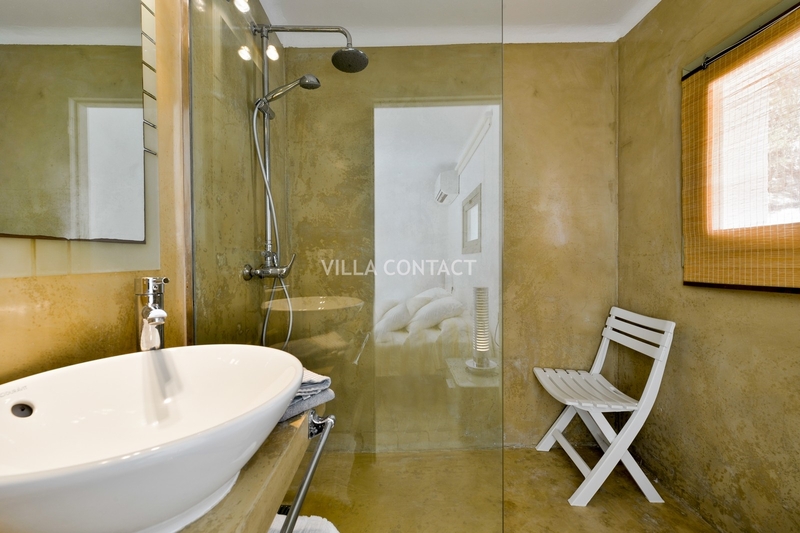 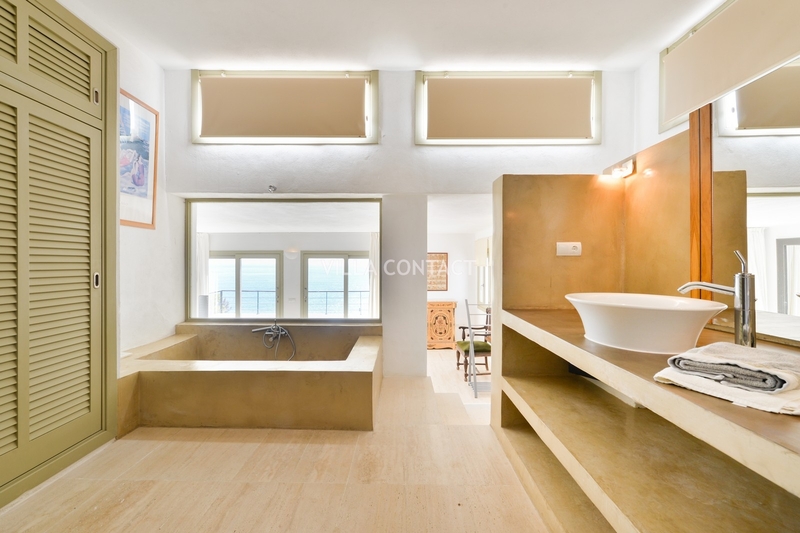 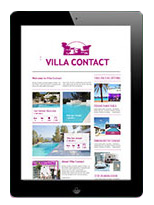 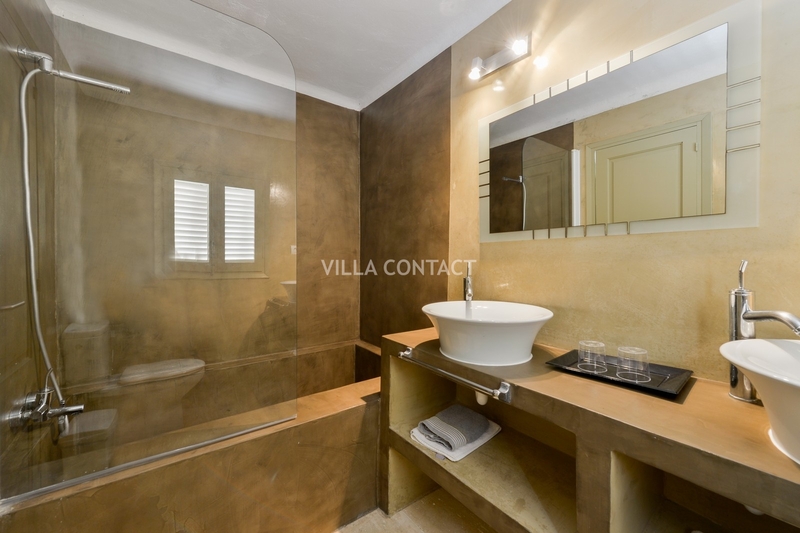 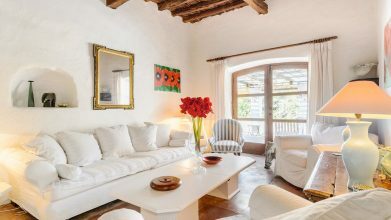 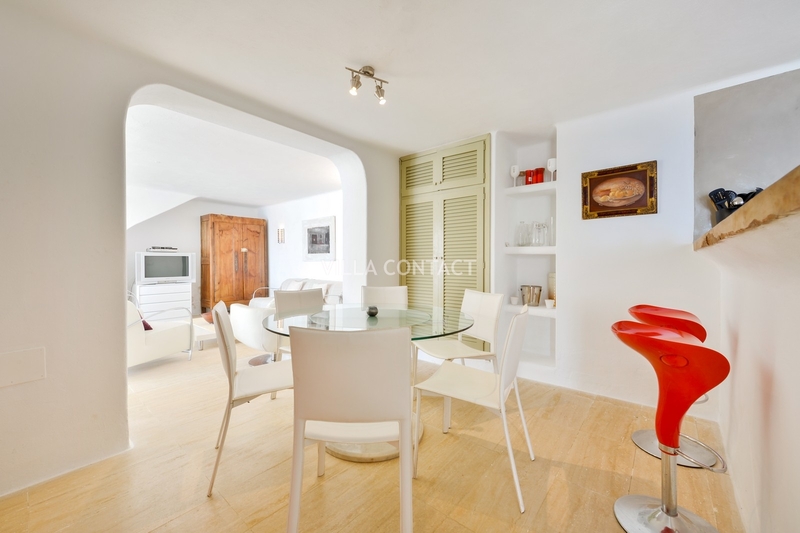 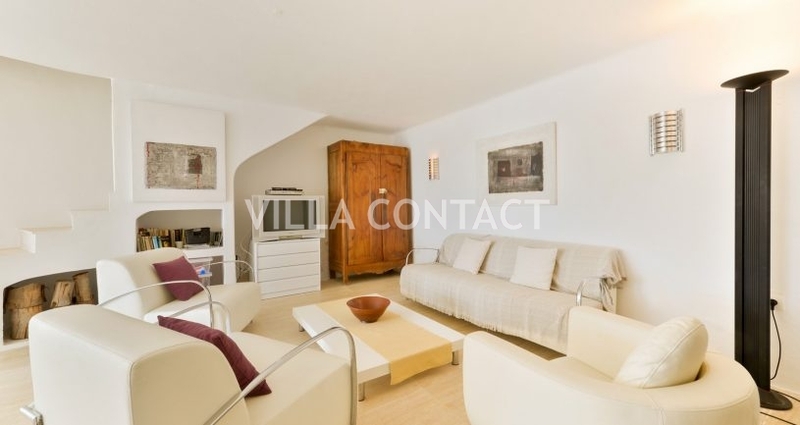 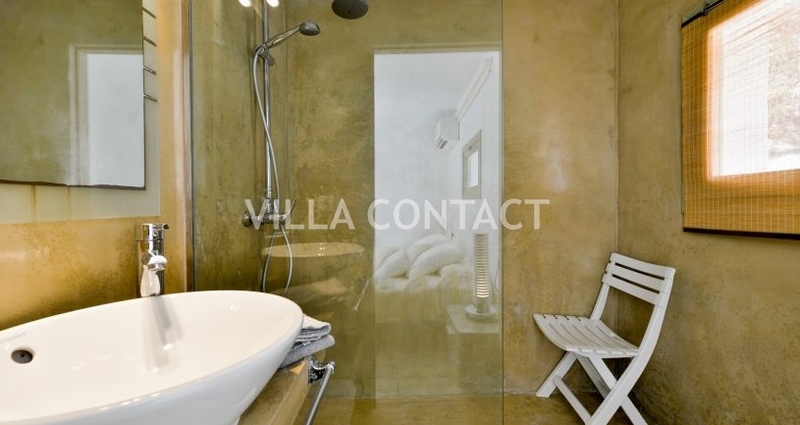 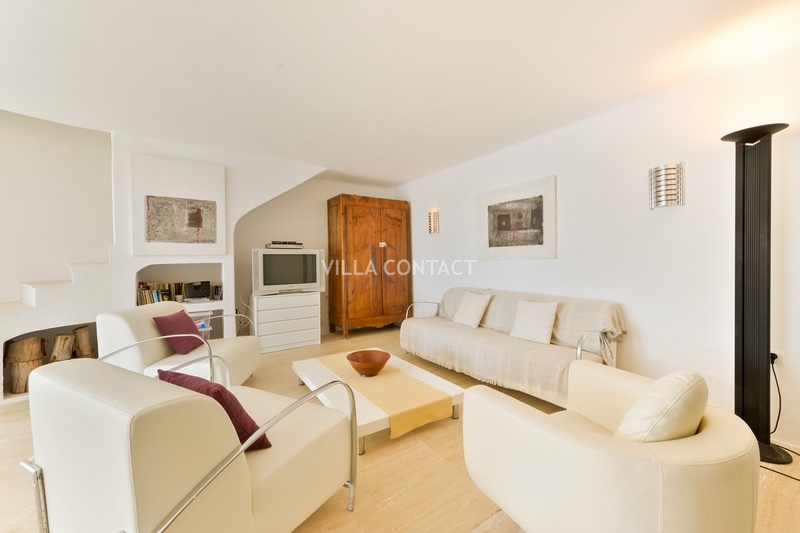 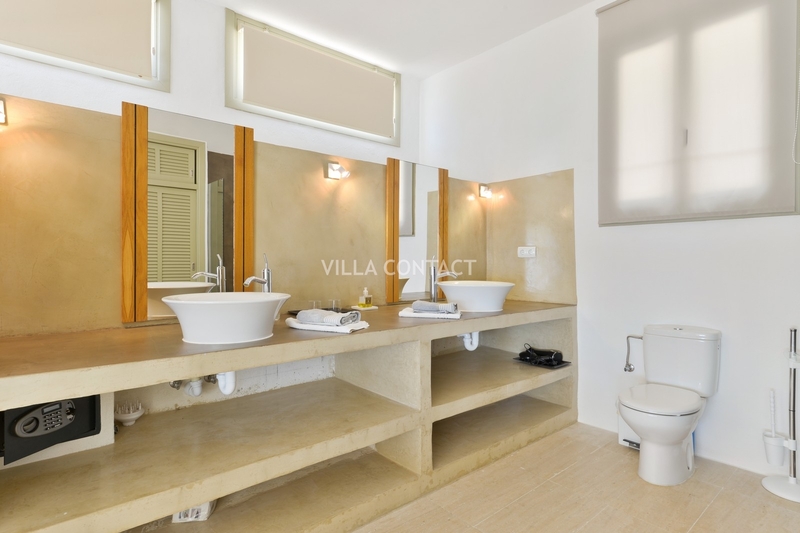 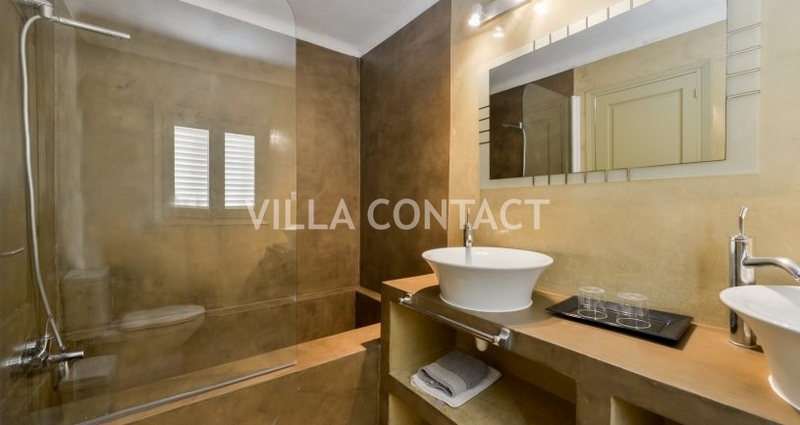 There are three ensuite double bedrooms on the first floor with their own private terraces each with sea views. 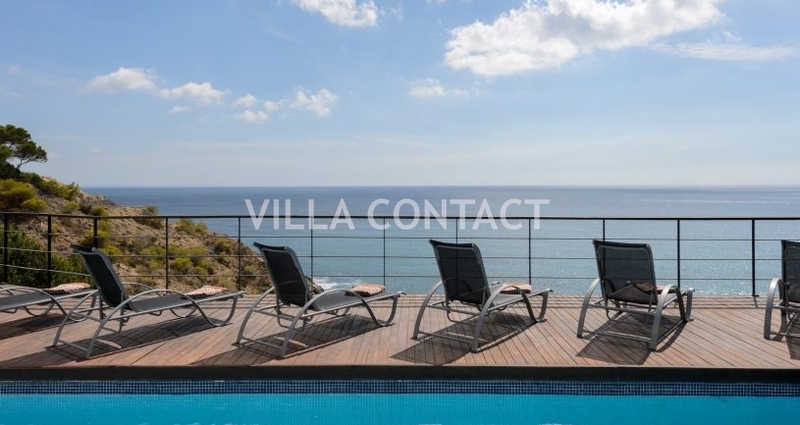 The property’s huge teak deck and pool terrace overlooks the vast crystaline blue sea below.